StackAdapt is a leading cross-platform native advertising solution. Your in-feed native ad is served across 45,000 premium publishers worldwide to attract the interest of your target audiences and drive them to your content. Agency Trading Desks can bring StackAdapt's technology in-house by having the platform white-labelled, or integrated directly through an API. Brands and agencies can tap into StackAdapt's resources for paid brand content amplification. 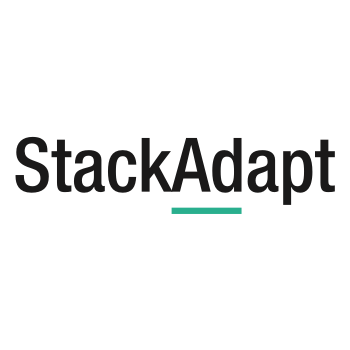 StackAdapt offers full support on launching and managing native advertising campaigns. Supports 100% customized, responsive native ad units styled to match any site's content. Your content remains on your blog or content hub, ready to be turned into an in-feed native ad. Your in-feed native ad is served to your target audience across 45,000 premium publishers worldwide.